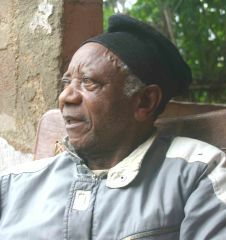 Sankie Maimo, who has died, aged 83 from stoke after ten years of paralysis, was a leading Cameroonian writer. His early works portrayed the tension between African traditions and the colonial project of modernity. His first work of fiction entitled I am Vindicated (1959), was published while he was living in Ibadan, Nigeria. The book was the first substantive work of literature by an Anglophone Cameroonian writer. Maimo’s later works include a children's book titled Adventuring with Jaja (1962), Sov-Mbang the Soothsayer (1968), The Mask (1970), Succession in Sarkov (1981), Sasse Symphony (1989) and Retributive Justice (1992). Sov-Mbang the Soothsayer was the first English book ever published by Editions CLE, the main publisher in Cameroon for several years. In fact, CLE did not publish another book by an Anglophone Cameroonian for nearly three decades. The lack of access of Anglophone writers to CLE is one of the reasons why Anglophone Cameroon literature failed to develop at the same pace with Francophone literature. Maimo’s works often deal with history for he believes that “the past is with us and helps us to fully understand the present”. Yet he often injects social satire when he deals with themes like the clash of tradition and the modern, the role of the individual in society etc. However, what marks Maimo’s works is the poetry that flows in his use of language. In fact he has often been criticized for being an elitist writer, a label he is not afraid to accept. As he has often explained “I normally address myself to the people and particularly the enlightened few who can inform the others”. Sov-Mbang the Soothsayer was used as a prescribed text at the University of Yaounde for several years and Succession in Sarkov was produced for the stage and Cameroon Radio and Television (CRTV) by The Flame Players, a professional theater troupe by Anglophone Cameroonians that was very active in the mid-eighties and early nineties. Maimo lived in Nigeria from 1949 to 1966 where he was a teacher of English and Mathematics. Like a number of Anglophone Cameroonian writers who have also published literary works in Nigeria journals without acknowledgement of their nationality, Maimo has more than once been mistaken for a Nigerian writer by cataloguers and critics. He died on September 4, 2013. Dibussi Tande is a Cameroonian journalist and writer. He blogs at Dibussi.